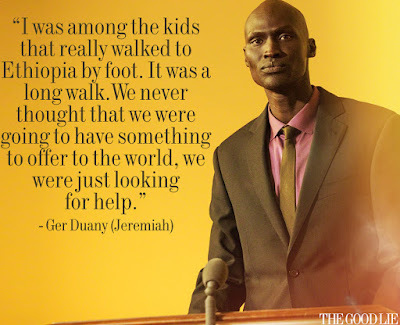 Based on true events, “The Good Lie” centers on orphans during the brutal Civil war in Sudan that began in 1983, these young victims traveled as many as a thousand miles on foot in search of safety. Fifteen years later, a humanitarian effort would bring 3600 lost boys and girls to America. In “The Good Lie,” Philippe Falardeau, (writer and director of the Oscar®- nominated Foreign Language film “Monsieur Lazhar”) brings the story of their survival and triumph to life. Academy Award® winner Reese Witherspoon (“Walk the Line”) stars alongside Sudanese actors Arnold Oceng, Ger Duany, Emmanuel Jal, and newcomer Nyakuoth Weil, many of whom were also children of war. Follow their inspiring journey when “The Good Lie” opens this July 29 exclusive at Ayala Malls Cinemas nationwide. 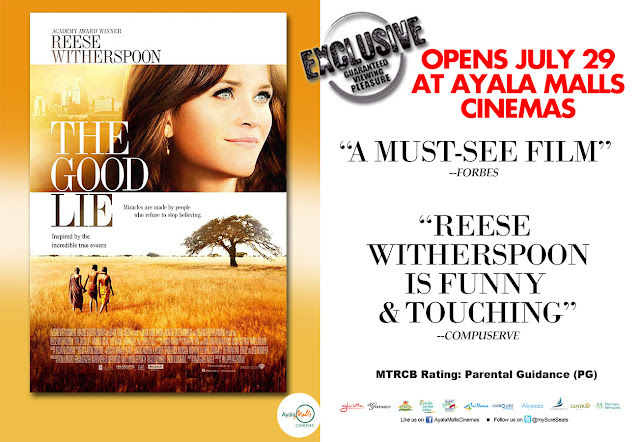 Check www.sureseats.com for screening schedules and ticket reservation at Ayala Malls Cinemas.